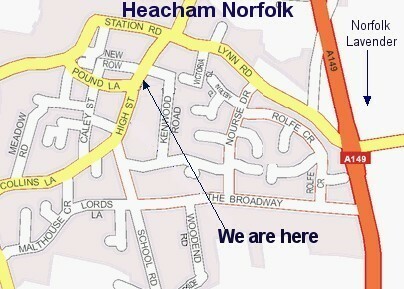 Heacham is on the East coast of England but faces West! Hence the reputation for beautiful sunsets. One of the largest villages in England, Heacham has a friendly atmosphere and although the shops are scattered around the village, they cater for most of ones needs. The A. E. Wallis shops are situated in Heacham's High Street, easily found by turning into Heacham from the A149 at the Norfolk Lavender junction and then turning left after the Mini Supermarket and Library into the High Street. We are also next to the Post Office so finding us should be easy. Established in 1939 by Arthur Wallis the business has continued to be a family one with his sons John and Richard now running the business as a Partnership. "We are well known in the area for friendly and efficient service, something we want to expand upon with our presence on the Internet"